Samath D. Dharmaratne, MBBS, MSc, MD is the Head and Associate Professor in Community Medicine, Faculty of Medicine, University of Peradeniya, Sri Lanka, and Affiliate Assistant Professor of Global Health at the Institute for Health Metrics and Evaluation (IHME) at the University of Washington. Dr. Dharmaratne was a Post-Graduate Fellow at IHME, working with the Causes of Death and the Burden of Disease research teams. His research focuses on injury prevention, especially road traffic injury prevention, health care costing, analysis of cause of death data, noncommunicable disease prevention, and nutritional assessment in and outside Sri Lanka. In his role as affiliate faculty, Dr. Dharmaratne will supervise students’ Master of Public Health theses, serve as a supervisor for students conducting their practicums in Sri Lanka, participate in courses by giving lectures remotely or in person when in Seattle, and serve as a resource for students working on data from Sri Lanka. In addition, it is expected that he will serve as key personnel in several grant proposals and actively participate on a number of projects. Dr. Dharmaratne holds a Bachelor of Medicine and Surgery degree, a Master of Science degree in Community Medicine, and a Doctor of Medicine degree in Community Medicine from the University of Colombo, Sri Lanka. He is a Board Certified Specialist in Community Medicine in Sri Lanka. He was awarded a Senior Fellowship at the Postgraduate Institute of Medicine, University of Colombo. He has more than 100 publications (journal articles and presentations) and is a member of a number of expert and advisory groups in injury prevention in Sri Lanka and outside the country. 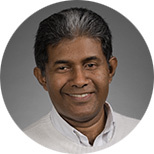 Dr. Dharmaratne was an Honorary Research Fellow at the Institute for International Health (affiliated with the University of Sydney) and worked as a Public Health Consultant at the World Bank in Sri Lanka. Naghavi M., on behalf of the Global Burden of Disease Self-Harm Collaborators. Global, regional, and national burden of suicide mortality 1990 to 2016: systematic analysis for the Global Burden of Disease Study 2016. BMJ. 6 Feb 2019; 364:I94. doi:10.1136/bmj.l94. Kularatne S, Weerasinghe SC, Gihan C, Wickramasinghe S, Dharmaratne SD, Abeyrathna A, Jayalath T. Epidemiology, clinical manifestations, and long-term outcomes of a major outbreak of chikungunya in a hamlet in Sri Lanka in 2007: a longitudinal cohort study. Journal of Tropical Medicine. 2012, Article ID 639178. Agampodi SB, Fernando S, Dharmaratne SD, Agampodi TC. Duration of breast feeding; validity of retrospective assessment at nine months of age. BMC Pediatrics. 2011; 11:80. Bhalla K, Navaratne KV, Shahraz S, Bartels D, Abraham J, Dharmaratne S. Estimating the incidence of road traffic fatalities and injuries in Sri Lanka using multiple data sources. International Journal of Injury Control and Safety Promotion. 2010; 17(4):239-246. Agampodi SB, Dharmaratne SD, Thevanesam V, Dassanayake S, Kumarihamy P, Ratnayake A. Incidence and effects of Varicella Zoster virus infection on academic activities of medical undergraduates: a five-year follow-up study from Sri Lanka. BMC Infectious Diseases. 2010; 10:117.